Oh, Jaén—the capital city of the province of the same name, the province where I lived and worked for eight months in southern Spain this past year. Jaén, a city I have really come to love, a city that, despite its central location, is completely bypassed by tourists on their way from Granada to Sevilla. Jaén, this anonymous yet very typical Andalusian city, enchanted me over the course of the school year until I nearly teared up leaving town for the last time back in April. 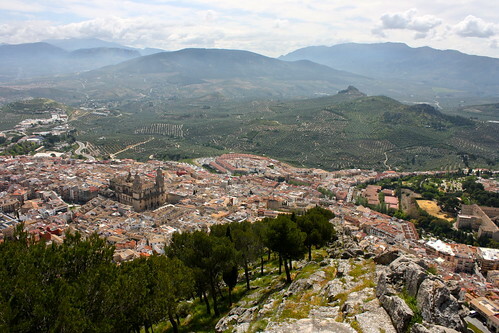 I remember my first visit to Jaén (pronounced as a throaty “khah-AYN” [xaˈen]) in late September; my bilingual coordinator was taking me to apply for my NIE and TIE (residency) since the oficina de extranjería or foreigners’ office in the capital was the only place you could do so in the whole province, about the size of the state of Connecticut. We hopped on and off new stretches of highway that crossed through the hordes of olive trees that are grown in the region, and as we approached the Sierra Mágina mountain range, the city came into view: a sprawling municipality fanning out from its medieval nucleus at the feet of the Santa Catalina hill. Dominating the skyline was the town’s cathedral, whose massive size made me feel like I had been transported to a powerful metropolis in Central America. 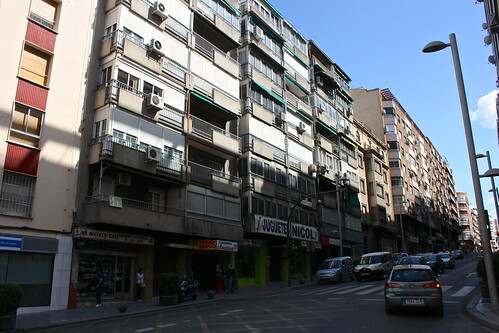 Once within the city limits, we parked, dashed across a brand-new but never-used tram line (apparently the bus company objected after construction was finished), and sought out the foreigners’ office, which was in the modern, ugly Franco-era part of town. An hour or so of standing in line, paperwork-signing, and finger-printing, and we were heading back to Úbeda in the center of the province. Safe to say, immigration bureaucracy probably didn’t care nearly as much about my opinion of Jaén as the tourism board would have. I came back the next day for the orientation program for all language assistants in the province, meeting comrades teaching near and far from me, taking advantage of the free food, and sitting through hours of, uh, unstimulating presentations. After the required sessions had ended, the education department took us on a free tour of the city—but this tour was in the late summer heat, in a group of forty or more, given by a soft-spoken Spanish-speaker. I learned little about town, merely trying to make smalltalk with other auxiliares as expat social groups began to fuse together. The tour ended with a stroll through Jaén’s Renaissance-era cathedral, a monumental construction that completely dwarfs all other buildings in town. I didn’t think much of it at the time—once you’ve seen one cathedral, you seen them all, as they say—and was annoyed that taking pictures was prohibited (at least officially). At the time, I wished I was in a different city altogether, touring Córdoba’s Mosque-Cathedral with the Córdoba assistants; I had wanted so badly to be placed in a school in the neighboring province and was disappointed when I found out that backwater Andalucía was to be my doom destiny for the next eight months. I made a daytrip out of going back to Jaén to pick up my TIE or foreigner’s ID card and was pleasantly surprised at the different face the city showed me as I wandered around (read: got lost) in the La Merced neighborhood at the foothills of the castle-topped mount. Houses with colorful plaster walls lined steep, stairstep alleyways; a plump stray cat with arresting, emerald eyes hopped onto the hood of a compact, sporty Peugeot; and gypsies, instead of pushing sprigs of rosemary, spontaneously broke out into brief cries and claps of flamenco, as the spirit moved them. I began to see Jaén as not just the-city-that-happened-to-have-the-provincial-government but as an alluring Spanish city in its own right and a quiet but highly-underrated big city in the Moorish-tinted south. 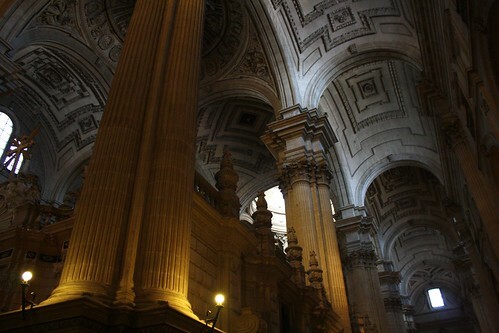 The Renaissance cathedral took on new meaning the longer I spent in the area. Architect Andrés de Vandelvira designed not only said cathedral but also countless parish churches and palaces across Jaén province, my own Úbeda receiving the lion’s share of his commissions. In a region known for its glorious Moorish- and Mudéjar-style architecture, it seemed odd to find so many Renaissance works around every corner—yet here they were in all their clean, pure glory. But that’s not to say I found no connections to Muslim al-Andalus in the city; far from it! Although the area around the Hill of Santa Catalina has been inhabited since time immemorial, it wasn’t until Moorish times that the city really took off. 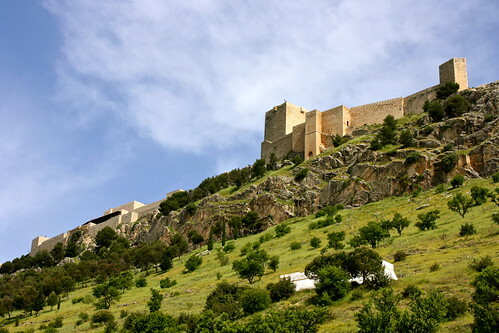 Then called Yayyan, meaning “crossroads” in Arabic, Jaén and its eponymous province still sit in a strategic location within Spain: between highways that connect Madrid and Granada as well as the train line that links Sevilla with Barcelona. In a meandering part of the old town I found the largest remaining Moorish baths in Spain. 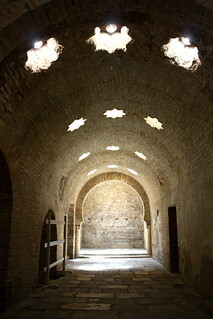 These baños árabes were only discovered a century ago but have been masterfully restored; I wandered beneath barrel vaults punctured with candy-like star skylights and traced by exotic horseshoe arches. In the farthest corners of the baths, around heavy brick corners and beneath the street level, the silence was palpable. This treaty effectively halted one of the most expansive periods of the Reconquista or medieval Christian “re-conquest” of the Iberian Peninsula from Muslim rulers. But, more importantly, it also drew the borders of the new Nasrid Kingdom of Granada, establishing the final remnant of the once-mighty al-Andalus as a mere vassal state to the crown of Castilla. Two centuries of peace would hold until Ferdinand and Isabella took charge and annexed the crescent-shaped territory that stretched from Málaga to Almería in the late 15th century. This significant act in history happened here, on this hill—I thought while gazing across the city from the summit. Behind me silently stood the mountains of the Mystical Range, a natural boundary between Catholic Spain and once-Muslim Granada. Turning back around, I could see almost all the way north to Renaissance-festooned Úbeda—an hour away—and there had to be, in my field of vision alone, millions of olive trees, which stretched all the way to the horizon. The economic lifeblood of the province, these olive groves produce a tenth of the globe’s olive oil, and five-liter jugs sell for twenty euros in local grocery stores. Choosy Spanish moms will insist that you use only the extra-virgin variety in your cooking. The local cuisine in Jaén offered me a welcome surprise: bars and restaurants served free tapas with any drink I ordered: small plates of potato salad, olives, or cured ham and crackers. A quick, garnishing flick of the oil bottle added a fruity, yet savory, complexity to these samples from the jienense kitchen. One such tapas bar behind the cathedral, La Manchega, has stuck around in a cool, narrow lane since the late 19th century, a glimpse into the longstanding food traditions that stretch back past the Renaissance, past Moorish al-Andalus, past even the Roman Empire to, at the very least, the very first drops of oil that were squeezed from an Iberian olive. In the spring I would have to say hasta luego to Jaén—“until later”—rather than adiós, “goodbye.” What was initially my least favorite city in Spain (as I tweeted in October) had become my secret lover, a new friend in an old land, and a microcosm of the province I called home for eight months. 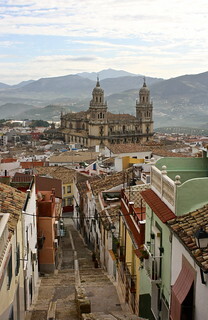 Jaén, ya te echo de menos; Jaén, I already miss you, but I will be back someday. Has a city ever grown on you after a bad first impression? Tell me about it in the comments below.